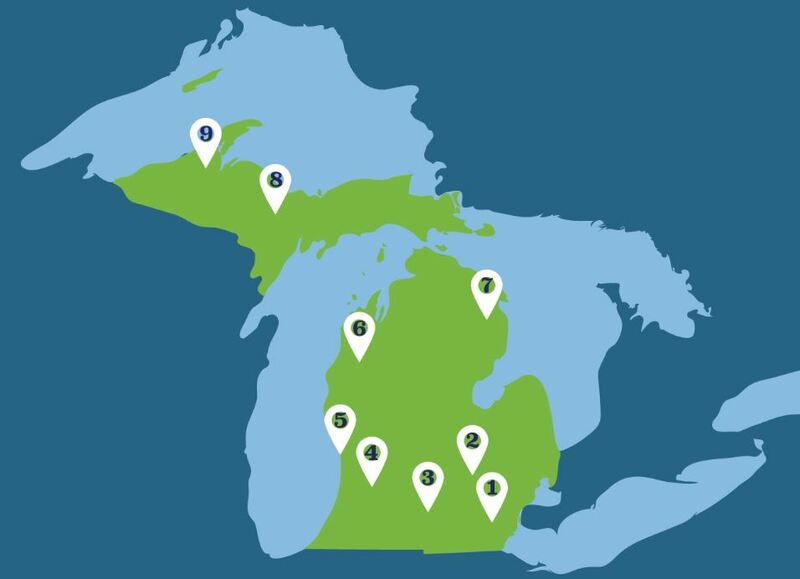 The Great Lakes Stewardship Initiative (GLSI) was launched in 2007 to develop knowledgeable and active stewards of the Great Lakes through hands-on learning in the community. It currently supports nine regional hubs with a series of grants to provide leadership, expertise, support for K-12 teachers, and material and financial resources for the local work of students and community organizations. Hubs also support their work with donations from foundations, community organizations, and other grant programs. The regional hubs assist with the collaboration of students, teachers, and local organizations to study and address important environmental issues in their communities. In the process, students learn academic content and practice the skills of problem-solving and citizenship. The GLSI is expanding classrooms and strengthening communities across the state. For more information on the statewide GLSI Initiative please visit their website. For more details and contact information for each hub, visit the GLSI website.